Mr. Raghbir Singh Ahluwalia, A former soldier of Indian Army after serving the nation has established NCDM, India i.e. New Concept Digital Marketing, India. “NCDM BULK SMS” has entered into the field of “Digital Advertisement” to meet the requirement of advertisement of dynamically changing market. 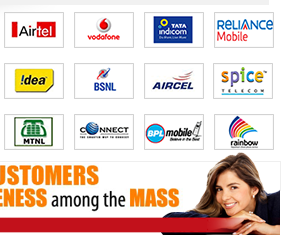 NCDM Bulk SMS is Located at Kota, Rajasthan, India. NCDM Bulk SMS, Kota specializes in providing the entire range of services pertaining to the digital marketing services. 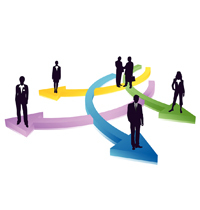 We specialize in all of these areas with specialized teams working in each of these segments. NCDM Bulk SMS, Kota has a dedicated team of highly qualified software professionals working round the clock to bring quality products to our clients. The key to today’s success is in having Domain Expertise in various fields of Business. From Finance, Insurance, Education, Manufacturing, Trading and Retail Industries we have a diverse experience in various lines of business. We have a well-trained team of certified professionals to offer outstanding solutions. To Deliver the Right Solution at the Right Time at Right Price. Our goal is to satisfy our existing customers and to attract new customers by building and maintaining a reputation in the web based creative industry, as a company that offers cost-effective, high-quality solutions to varied clientele. While most of our customers have needs that offer unique challenges, there are some characteristics common to all. Identifying these universal requirements and satisfying them in a timely and efficient manner is the cornerstone of maintaining our existing business relationships and building new ones. We have come to recognize that all customers, regardless of industry, are interested in these essentials: being listened to and understood, being shown respect, being kept informed, and in receiving superior value in the form of final product delivered on time at a fair price. As said, A true diagnosis is three-fourths the remedy, our focus lies on understanding in depth, the requirement of the customer before making any suggestion, and then coming out with a solution. At NCDM Bulk SMS, Kotha, we work hard to meet the highest standards – both in management and in engineering. Our focus on quality at every step coupled with skilled resource management ensures that your project remains solidly on track. NCDM Bulk SMS, Kotha gives you instant access to a dynamic, scalable, dedicated and responsible development team - a team committed to meeting the highest standards, committed to delivering on promises, and committed to ensuring every projects success.